The Wisconsin Veterinary Diagnostic Laboratory opened its State-of-the-Art facility in 2006. Veterinary diagnostic activities started on the University of Wisconsin (UW) campus in the early 1930’s with an agreement between the Dean of the College of Agriculture and the state Director (now Secretary) of Agriculture that there was a need to provide animal disease diagnostic assistance to the veterinarians and producers in the state. Space was initially provided in Agriculture Hall at the top of Henry Mall on the UW-Madison Campus. There was such demand for the service that there was soon a need for more people and additional laboratory space. In 1938, with an agreement between the College of Agriculture and the Department of Agriculture, land was provided to build a new diagnostic facility. That facility, now used for other purposes, is west of the current laboratory and School of Veterinary Medicine. That location was chosen, at least in part, to be close to the federal (USDA) hog cholera antiserum production facility and was called the Wisconsin Animal Health Laboratory. In order to serve the poultry industry in the Northwest part of the state, the Barron laboratory opened in 1958. As its business grew, the laboratory moved into a new facility in 1992. The Barron laboratory continues to serve both the poultry and dairy industries. In 1964 a larger facility was built on Mineral Point Rd. on Madison’s west side to house the Madison laboratory. This facility, administered by the Department of Agriculture, Trade, and Consumer Protection (DATCP), allowed the laboratory to increase its test offerings and service. Because of the presence of major bull studs in Wisconsin, the laboratory became (and continues to be) the major provider of testing services for the bovine artificial insemination industries. In addition to providing diagnostic testing, together both laboratories played an important role in the eradication of hog cholera, bovine and swine brucellosis, bovine tuberculosis, and pseudorabies from Wisconsin herds. 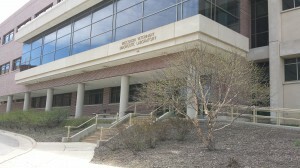 The Barron Lab moved into its’ current facility in 1992. 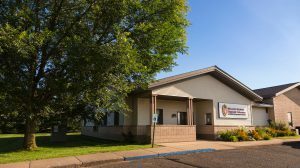 The Wisconsin Veterinary Diagnostic Laboratory (WVDL) was established in 1999 by Wisconsin Act 107 (1999 Senate Bill 358) which was enacted on 28 April 2000. With that Act, effective July 1, 2000, the Wisconsin Animal Health Laboratory was transferred from the Department of Agriculture, Trade and Consumer Protection (DATCP) to the University of Wisconsin System and renamed the Wisconsin Veterinary Diagnostic Laboratory. This change occurred through the collaborative efforts of the Wisconsin Veterinary Medical Association (WVMA), the School of Veterinary Medicine, and the State of Wisconsin. Continued support from the State and UW campus, along with increasing demand for diagnostics with exceptional quality, led to the design and construction of a new laboratory on the UW-Madison Campus. The current state-of-the-art facility on Easterday Lane opened its doors in 2006. Provides testing and diagnostic services for all types of animals, including fish, in this state, with emphasis on services for farm animals. Provides the diagnostic services necessary to meet the requirements for accreditation by the American Association of Veterinary Laboratory Diagnosticians (AAVLD). Provides the testing and diagnostic services needed by the Department of Agriculture, Trade and Consumer Protection to discharge the department’s responsibilities related to disease control and animal health. Maintain a regional laboratory in the city of Barron, Wisconsin. In cooperation with the School of Veterinary Medicine and the Department of Agriculture, Trade and Consumer Protection, participate in research and in the provision of field services, consultation services and education as determined to be appropriate by the veterinary diagnostic laboratory board. 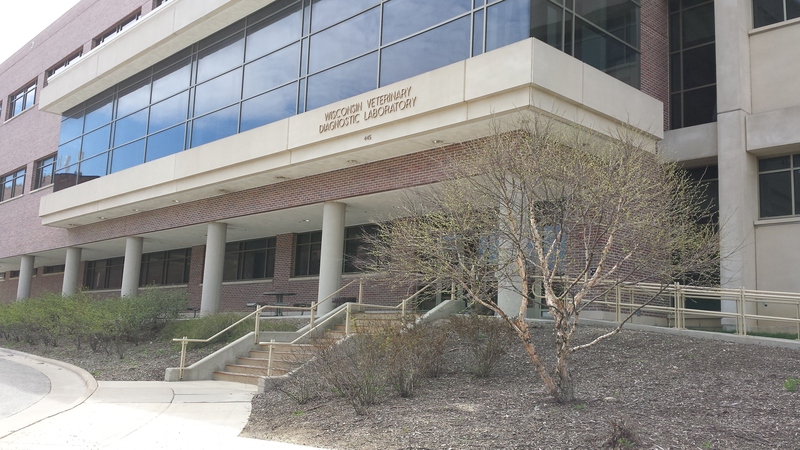 As part of the University of Wisconsin, the WVDL has continued to grow and currently employs approximately 125 people. In 2002, the laboratory became a core laboratory in the National Animal Laboratory Health Network (NALHN) of the USDA. This designation permits the laboratory to be a full partner to state and federal agencies in protecting animal agriculture. We pride ourselves on our customer service, dedication, and forward thinking. Many members of our team have national reputations for being leaders in their field. As part of the Wisconsin Idea, we continually strive to be global leaders in the field of diagnostic testing and have established reputations for excellence in testing for the dairy and bull stud industries as well as emerging infectious diseases such as transmissible spongiform encephalopathies. The Barron Laboratory continues to be an important part of the National Poultry Improvement Program (NPIP) through its service to the poultry industry. We welcome the opportunity to impress you with our quality testing and customer service. Thank you for considering the Wisconsin Veterinary Diagnostic Laboratory.